Peter will be speaking with Benjamin Dreyer on Thursday, January 31st at Barnes & Noble (East 86th and Lexington). 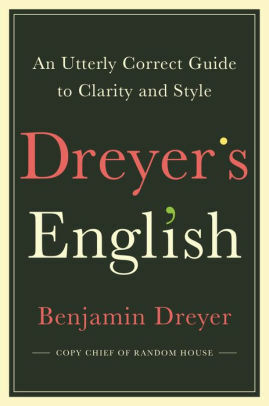 On January 31st, Peter will be at the Barnes & Noble on East 86th and Lexington Ave speaking with Benjamin Dreyer for the launch of Dreyer’s new book on writing, “Dreyer’s English: An Utterly Correct Guide to Clarity and Style”. This free event begins at 7pm. For more information visit the Barnes & Noble event page here. © 2019 Peter Straub. All Rights Reserved.